With Chinese New Year just around the corner, one of the most ideal settings for a red-tinted celebration is the Emirate of Dubai. The ever-fascinating metropolis is a melting pot of different cultures and ethnicities, bringing out the true meaning of multiculturalism and openness; it is also the home to a growing Chinese community. Via Dubai Festival City Mall. Today, the 4th of February, the Festival Boardwalk situated in Dubai Festival City, the entertainment shopping center by Dubai’s Creek, and for one night only, an unprecedented display of fireworks is set to take place. At exactly 8 P.M, make sure to book a table at one of the mall’s water-facing restaurants, or simply make your way to the boardwalk for the colorful show. Dubai Festival City Mall has also prepared a myriad of Chinese-themed entertainment shows for families and individuals to enjoy during the new year celebration. 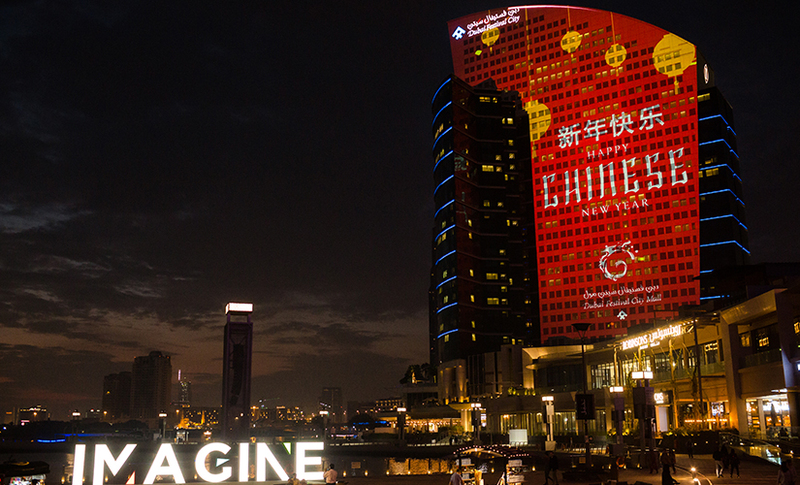 The Emirates’ grandest mall is preparing for an unforgettable, ten-days of festivities in honor of the Chinese New Year with its “China Art” celebration campaign. The Chinese-themed program has live shows, traditional games, as well as arts and crafts workshops. Each day of the festivities will include a traditional parade, with music and puppets shows, making it something that you should not miss. Looking to celebrate the new year with style? Then do not miss out on Atlantis; the resort is set to host an extravagant fireworks show. Not to mention, the myriad of restaurants offering traditional cuisine, as well as ancient lion dance shows. Hakkasan, the famed Chinese restaurant, will serve a refined Chinese New Year menu,or perhaps try Saffron, which will offer a luxurious dinner made better with traditional shows. As part of #WOWJBR Chinese New Year celebration, the cultural district is opening a window to the timeless Chinese art of “Bian Lian”, or as it is called in English face changing. At The Walk, one can find roaming dragons, lively LED lion installations, as well as live performances. It is an amazing experience where you will get to immerse yourself in Chinese culture and understand the significance of the New Year event. 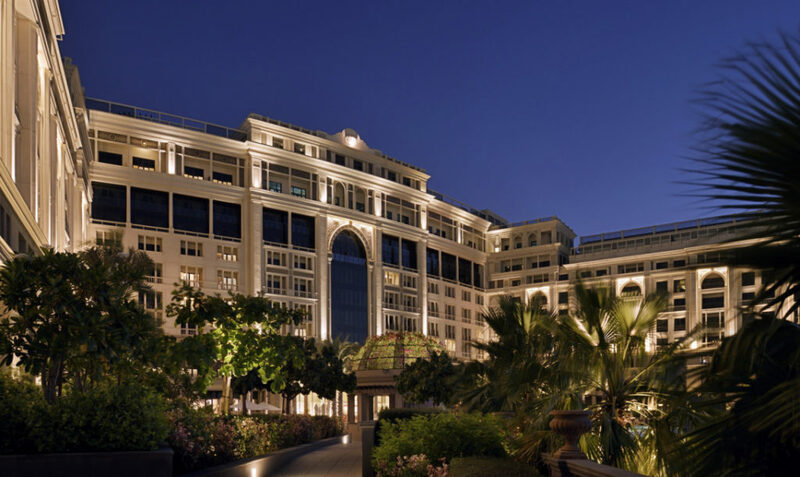 One of the few places in Dubai offering an unparalleled view to the majestic Burj Khalifa, the Palace Downtown is offering one of a kind celebration for the Chinese New Year. There, you will enjoy restaurants like the award-winning Thiptara, offering a Chinese set-menu with dim sum, crispy duck, and a variety of other traditional Chinese delicacies. The largest trading hub of Chinese products outside mainland China, Dragon Mart, is celebrating the Chinese New Year with special discounts and promotions. The shopping center will also include traditional drumming shows throughout the day. 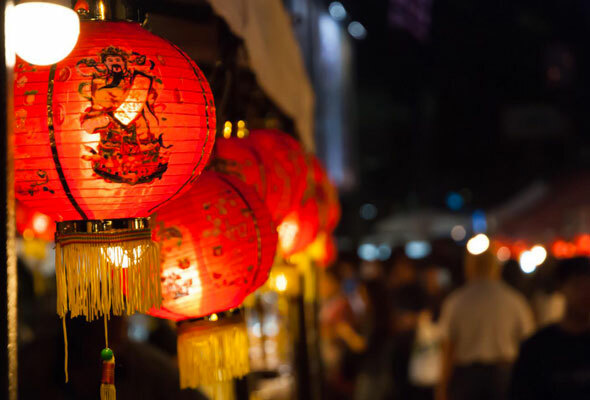 On the 16th of February, as part of the Chinese New Year celebration, the grand Como Garden at the Palazzo Versace resort will host a magnificent Festive Market celebrating the Chinese Lantern Festival. The festival will include traditional Chinese cuisine prepared at live cooking stations and food trolleys. WE SAID THIS: Happy Chinese New Year!